When you are saving at First Abilene FCU you are, in a sense, investing in yourself. Saving up a little money isn’t just a good idea – it helps to ensure your financial security and protect your family by covering unexpected expenses. With no monthly fees, great interest rates, and no hidden requirements, you get to keep the money you put in, and even make a little extra! 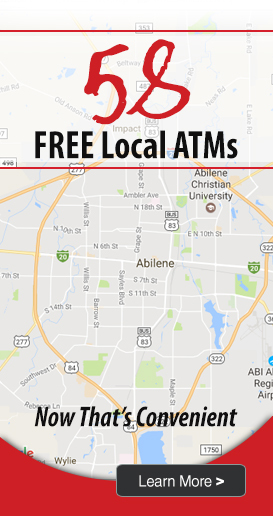 Withdrawals October 1 – January 1 at no charge. Early withdrawal fee is $2.50 per withdrawal.